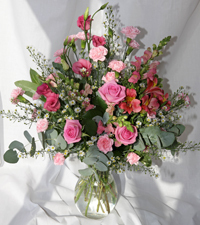 Pretty Pink Floral Assortment in Keepsake Glass Vase. 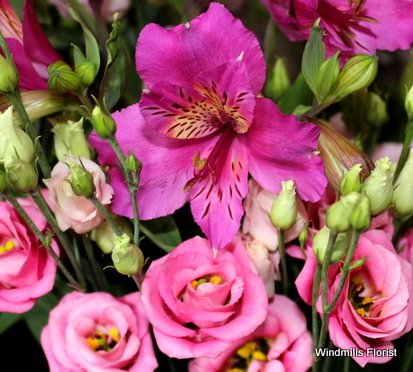 Pretty Pink Floral Assortment in Keepsake Glass Vase. 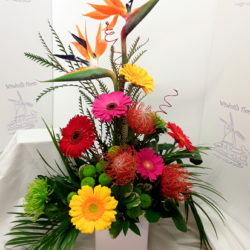 Our very popular vase arrangements are created using fresh flowers and a variety of Dutch foliage, either hand tied or arranged naturally in a clear glass vase with water. The keepsake Glass vase is included in the price. Your personal message, hand written on a suitable card completes your gift, ready for delivery. Add on our luxury ‘Skellig’ chocolates truffles for that extra special touch.